FSB has completed programming / project definition for the OSU CEAT Engineering Lab which entailed interactive workshops with students, faculty and staff. We are excited to move forward with the design of this important project. 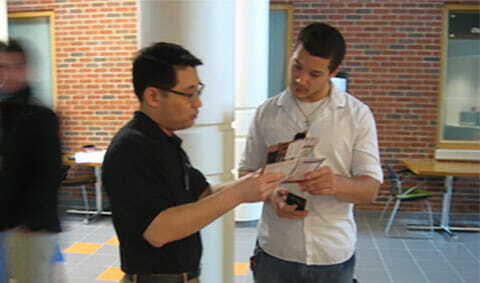 During an Interactive Workshop through the Programming/Design process for the OSU CEAT Lab, Min Koo, an FSB Associate & Senior Structural Engineer, visits with a student. 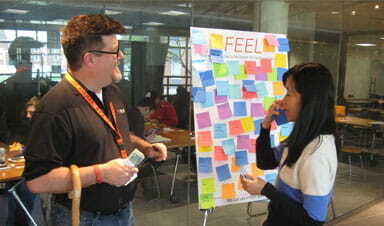 Jack Morgan, FSB’s Director of Architecture, discussing ideas with an OSU student during an Interactive Workshop for the CEAT Laboratory.